Beach Blog :: Bates Beach Oceanfront Resort - News & Recent Fishing Info from our Campground in Courtenay. 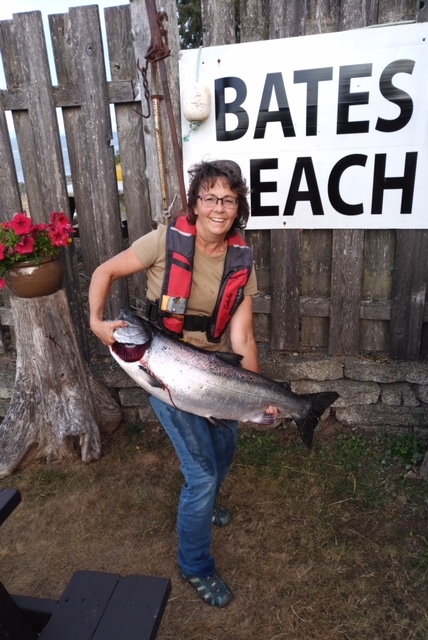 On September 1st while fishing by herself Jean Rowe caught the big one a 24 1/4 pounds the top fish so far in 2018 caught form Bates Beaeach and earned the title of "Mayor" of Bates of Beach. To hear Jean tell it there was quite the battle between Fisher, Seal and the Fish !!! The 2018 Bullhead Derby was held on Aug 5th with the winner being Darwin Bromley. The pancake breakfast was enjoyed by all, with the cooks serving up bacon and pancakes for those campers whishing to join us. The fishing has been the best in a number of years see the picutres below. 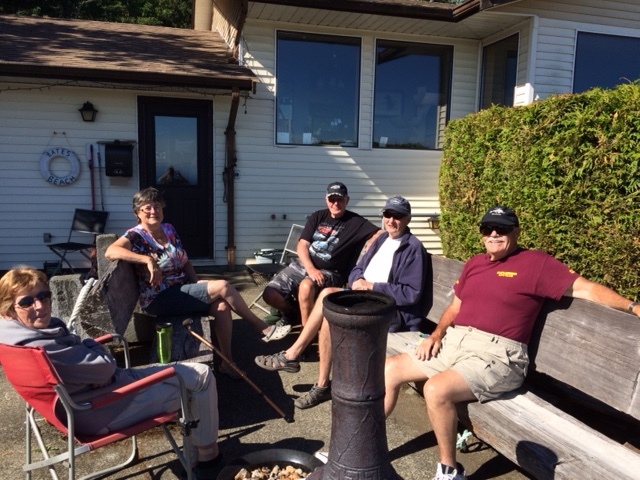 The Labour Day weekend continued with the hot summery weather, as the campers enjoyed the juicy and tender local corn that Sieffert's Farm is known for. John W. and John B. shucked 75 cobs of corn which were enjoyed by about 40 campers. Thanks to George B. for boiling up the delicious niblets and Brendan, Matthew and Wendy for the prepping and clean-up. What a wonderful end to the summer for many campers, but we still have some hardy souls planning to camp on the Thanksgiving weekend. The 2017 pancake breakfast went off without a hitch August 5th as John Bates and John Waterman cooked up a storm and served over 200 pancakes and bacon to the campers. There was considerable discussion for the past couple of mornings as some of the returning customers; 3 generations of Sharpe's (40 plus years) the Nelson's (29 years), Lindstrom's (20 plus years) and Defrias (15 years) were eagerly waiting for another long time customer Bill and Linda Whitten (40th year of returning to camp at the Beach) to show up in the hopes they will catch a few cod and pick a few blackberries. As they are known to cook deep fried cod balls and make blackberry crisp for their camping family. 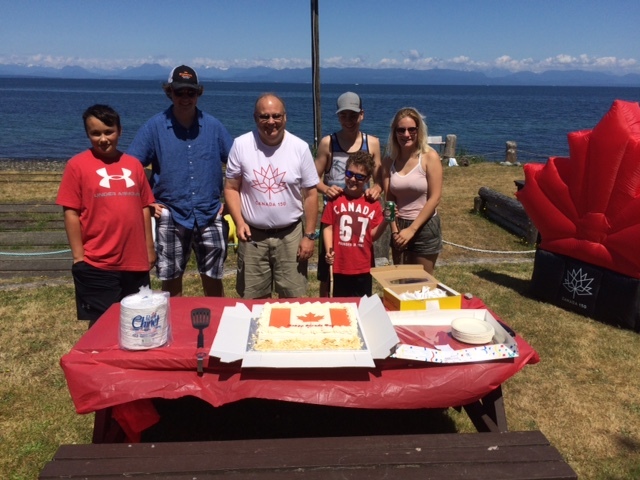 On July 1st John Bates served up cake to all the campers on our 150th Birthday.